Anybody else experiencing condensation in the Vocal Booth window? this is the 2nd time this is happening, i already put tons of silica gel inside before sealing it. it is sealed but i don't know why this is happening. temp isn't that different between the mixing room and inside the booth. Must be humidity from the room where the condensation forms. Sent from my Nokia 3210 android using tapatim. Ah, those curtains have liners that were designed for condos in the US. They have mass loaded vinyl. Very heavy, but not a total sound blackout. Yes, we calculated the room's characteristics according to the formula, but must find the middle ground to avoid the studio look. Its our home. Expensive, yes. More than we'd like-- but what to do? The equipment will be a bigger loss and selling them is not an option. I do home theaters, hifi rooms, studios, etc. I did the rooms of Jack Duavit, Jimmy Duavit, Fred Matta, Ziegfred Manalo and many others, aside from doing studios of GMA7, TV5 and ABS-CBN. Visit my Facebook page, TRACKSAcoustics/Studios. Message me privately. Maybe we can discuss your situation. Thanks. There is a duct or air con vent that is hitting your glass window directly. So the air coming frkm the ac unit shoudn directly hit the window sir? As much as you can, you want the air conditioning to be distributed all over the room. By having a vent hitting the glass directly, you are making the glass colder than anything else, including the vacuum (supposedly) or static air filled void between the two glass panes. Once those things happen, there is condensation. The result? Moisture. I tried this sir, unfortunately the condesation still happens. It's all good na sir. We will reconstruct the window to cure this. now with floor. the room is officially sealed and the increase in noise reduction was noticeable. the only thing left to do is find a supplier of true-sized wood for the walls that will comprise as hemlholtz resonators. i need to kill the flutter echo. i also planning build a skyline diffuser from EPS (polystyrene, yung material for hot cups) i just hope the manufacturer from taguig will allow me to buy small portions. Isn't best practice to carpet the floor as well since sound will bounce pretty well on it especially if it is flat and shiny? Not necessarily. If there is enough absorption in the walls and ceilings, better to have the floor hard. 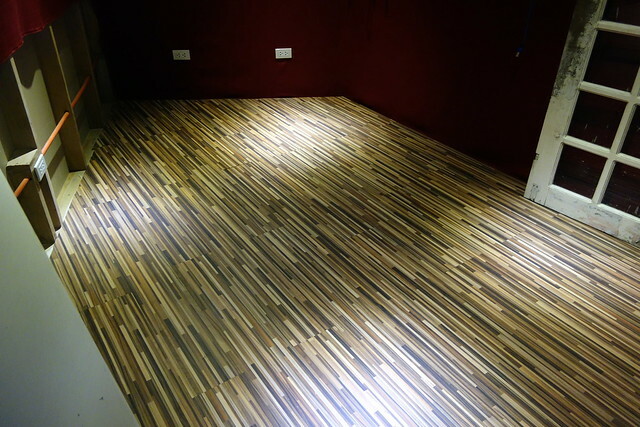 Further, maintenance is easier with laminated wood than carpet. Yes. I agree with you. Especially for listening only or playback. OT: i miss you all guys! ask ko lang po kung saan mura bumili ng rockwool? Mura na yung nasa Sulit. May kamahalan din talaga ang mga Rockwool. I'm currently in the planning stages of building a rehearsal studio. Later we would be upgrading it to become a recording studio as well. I'm aiming for at least 60 STC. I'm thinking of doing a double concrete wall (M-A-M system). My current dilemna is I don't see any literature about the STC rating of this kind of system. 1. How much STC rating would this system have? 2. Do you think the inner CHB wall is overkill? 3. Is having a 1/4/hardiflex + steel stud with rockwool + 2 layers of gypsum board more practical/better than having the inner CHB? 4. Which is more expensive? #2 or #3? Help po mga masters and gurus! I've been planning this for a long time, hingi po sana ako suggestions regarding sa balak kong studio for rent (rehearsals, recording, etc.).. Ang problema ko is how to soundproof it considering na katabi ng kwarto eh law firm at sa taas naman ay Spa! , Sana matulungan niyo ako! I'm not renting by the way, ako ung Lessor.. gusto ko lang ma-pursue recording studio business ko.. dream come true sa tutuusin. ask ko lang po, yun po bang heat insulator pwede ring gamitin as soundproofing or sound dampening? Ang STC sir AFAIK is supposedly measured para malaman mo ang rating ng room mo. Inner CHB is not overkill. May mga iba, buhos pa nga ang ginagamit para mass loading talaga. If you want something better than hardiflex, try MDF. Basically tahimik naman ang law office and spa. Double walling talaga if you want serious soundproofing. But from the way you describe your room, observe mo muna kung saan at gaano kalakas ang unwanted noise, kung meron. STC is sound transmission class - the ability of, say, a wall or roof to stop sound from "seeping" through. The number is equivalent to a dB figure. Thus, if there is sound coming from the other side of the room and it is measured to have a 100 dB intensity, and your walls have an STC of 60, the resultant "seepage" would be about 40 dBA which is almost inaudible. Maybe you are confusing STC with NC or Noise Criterion. NC is the measured result on how quiet the room is, with the air con, etc. on. For recording studios, an NC30 is acceptable, but the better ones should have an NC 20 or maybe 25. The lower the STC number, the better the noise or ambient performance - meaning, quieter. A single layer of CHB 6 inches, filled, plastered and all side connections totally caulked and sealed, would give you an STC of 45 to 50. A 6 inch CHB wall with a .90 meter air gap, then another CHB wall 6 inches, will give you a very high STC. But you have to do this on all 4 walls, ceiling and flooring to achieve the very, very high STC rating (would you have the real estate space?). Your problem also is the weight of CHB. If you are on the ground floor, it is fine. But if you are on the second floor, you have to consult your Structural Engineer if putting heavy CHB walls is acceptable to the weight load capacity of the building. Anyone have tried sound blankets for sound proofing? Is green glue effective in sound proofing sandwiched between two dry walls? Are you talking about Acoustiblok sir?